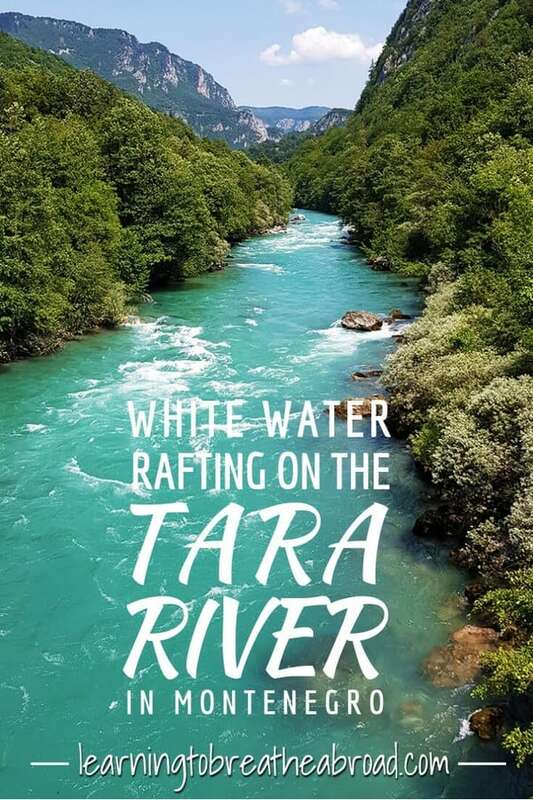 There are a few places along the Tara River where you can do white water rafting, but the most extreme rapids are in the North-West at Scepan Polje. 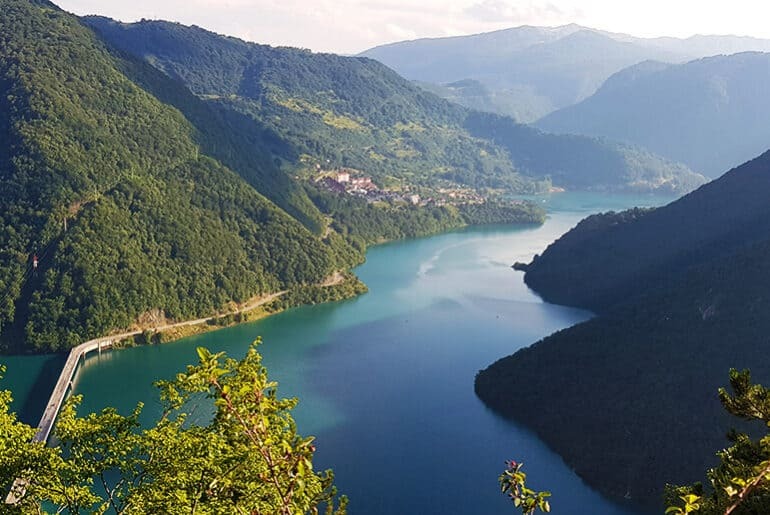 It is right on the border with Bosnia and Herzegovina and that is where we decided to do our river experience. 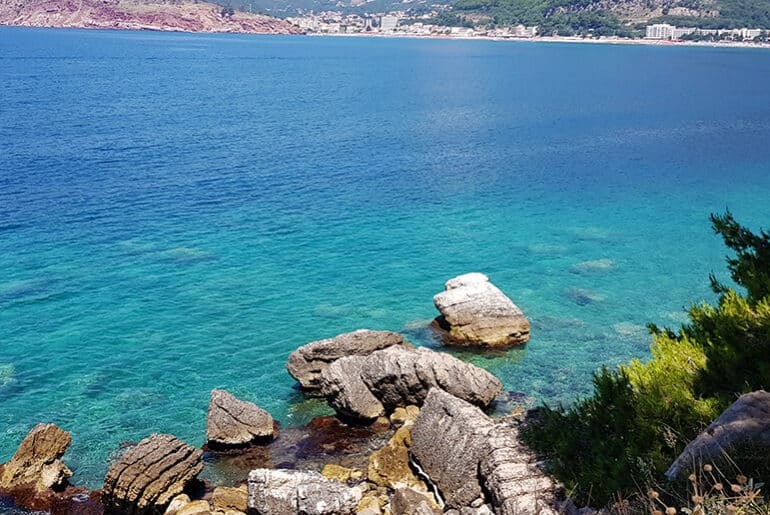 The company we chose was Blue River Tara – www.bluerivertara.me. 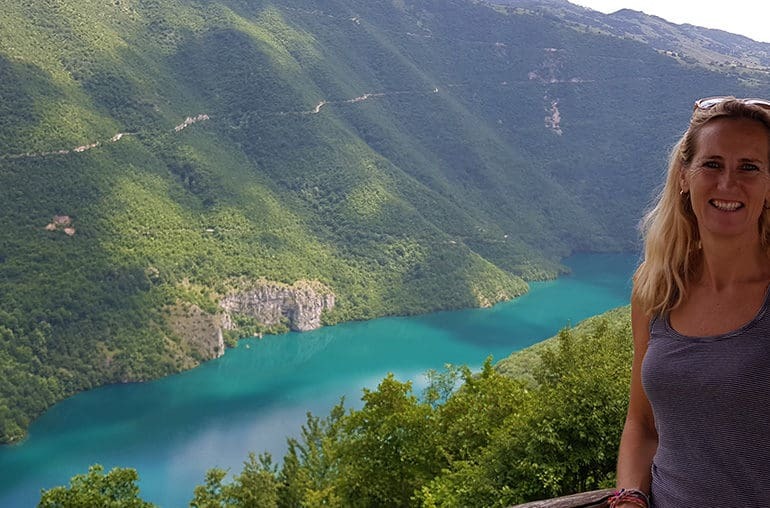 They have accommodation and a restaurant overlooking the Tara River and they allowed us to camp for free in their field. 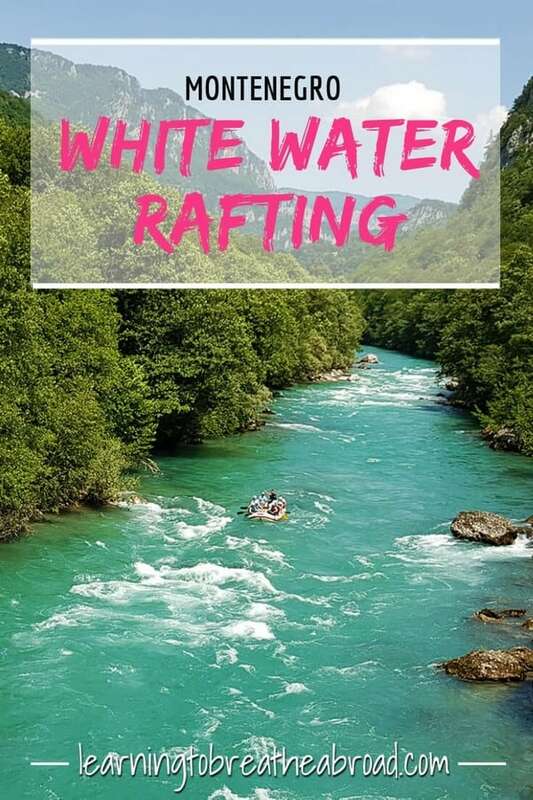 The White Water Rafting trip cost €45 per person and included breakfast, 2.5 hrs on the river and lunch. We woke early and were presented with an enormous breakfast! Bacon omlettes, a big bowl of priganice, a platter of cheese, kajmak, and jam. Priganice is a local dish and is essentially little balls of unsweetened doughnuts. Add a little kajmak (local cream cheese) and plum jam and YUM! Next, we were given our kit – wetsuits, booties, life jackets, and helmets and told to suit up. We then drove a couple of kilometres upstream to the raft launching spot. There was a steady stream of rafts being launched by various rafting companies. Apparently, there are more than 30 rafting companies in the area, so this is a big business! 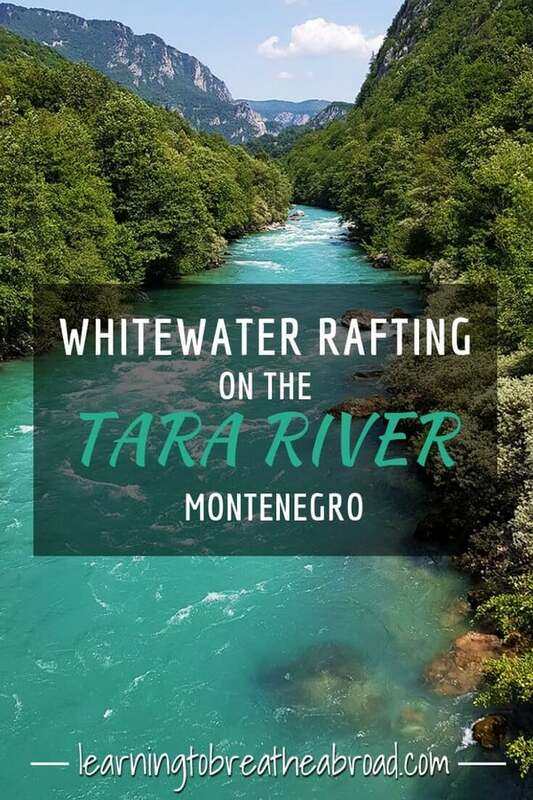 After a quick safety briefing, we were off, floating down the gorgeous clear aquamarine coloured river, surrounded on both sides by the steep sides of the Tara River gorge. Our guide was Obi and he was excellent, giving us lots of info about the country and the area. It had rained a lot over the last few weeks so the river was running full tilt and the rapids were huge, exhilarating and elicited many a whoop and scream. Lest not forget it was rather icy 10 degrees, but Tai still jumped overboard for a swim. I don’t think he realised just how cold it was, so almost walked on water to get back in the raft! Halfway along, we stopped at the Insane Stream waterfall, where water was gushing down the hill at a crazy rate. We had a couple of pics and then went a few meters down the river to a makeshift “cafe” for a break. The drinks were all cooling in the icy river water and there was lots of plum raki being passed around. After an adventurous 2.5hrs, we arrived back at the border bridge at the end of our river trip, but lunch was still to be had and what a feast! A huge steaming bowl of Ragout soup, a salad of tomato, cucumber and cabbage and then our choice of main meal. Tai had veal casserole and I had grilled trout with spinach and potatoes. The food was excellent and was the perfect way to round off what had been an amazing day!